Jennifer Piet has a wealth of knowledge in real estate in both the city and many suburbs. She attributes some of her success and knowledge to her father who has been in the business for over 30 years! Real estate is in her blood - before she had a driver's license her father was grooming her for the world of real estate. Fixing up rentals and foreclosures, assisting in open houses, staging homes, screening potential tenants, calling on foreclosures, and learning how to effectively negotiate all before graduating high school. She graduated from University of Iowa with a degree in Broadcast Journalism. After a career as a TV news producer, for major networks like CNNfn London, ABC & NBC she realized real estate was her true calling. 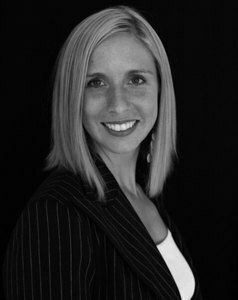 Jennifer works with buyers and sellers in all price ranges…from turn key new construction to a full gut rehab. She even offers a reliable list of contractors for your project. She's highly skilled with short sales and REOs. When Jennifer works for her clients she never forgets that their home is one of the most important financial investments of their lifetime. Investing in this volatile market she knows its invaluable to have a trusted and knowledgeable Realtor. At the closing table, Jennifer says "Seeing the smiles on my client’s faces and having them express their true gratitude is why I really do this job, I love to help people!" Jennifer's track record is SOLID, see her testimonials. She's batting 1000 with satisfied and grateful clients. A large portion of her business comes from referrals. Therefore she says she appreciates every client and takes to heart all of their needs, wishes and wants. It’s her goal to ensure my clients are happy. Chicago and continues to rank among the best of the best real estate. Jennifer has been a Wicker Park/Bucktown native since 2003. She grew up in the Northwest Chicago suburbs of Mt Prospect and Inverness.